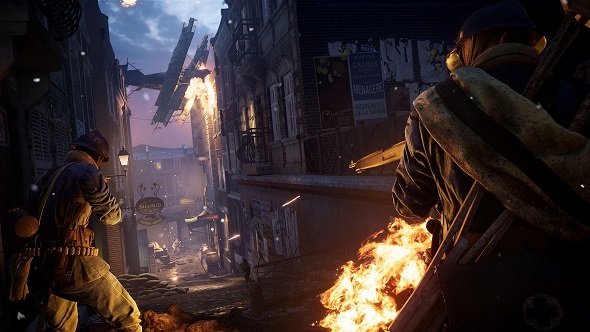 Battlefield developers DICE have announced that specialisations – a hallmark of their leading shooter franchise for years – are coming soon to its latest entry, Battlefield 1. Get the lowdown on your four classes with our Battlefield 1 class guide. Specialisations will be coming to the community test servers soon. If you’re new to the franchise, they’re basically perks – similar to those you get in Call of Duty. There’s a set of seven generic ones and then two more for each class for a total of 15, though more are planned in the future. “All players will start with three specialisations by default,” DICE say, suggesting you’ll be able to equip three at once. The default three are flak, cover, and quick regen. All specialisations will be available for testing on the CTE, but when they’re added to the live game in the Name of the Tsar expansion you’ll need to unlock new ones via ‘Service Assignments’, about which more news is coming later.